Bangladesh has been elected member of Organization for the Prohibition of Chemical Weapons (OPCW) Executive Council for the tenure of 2019-2021, reports UNB. Member States of the OPCW elected Bangladesh member during its 23rd conference held on Monday, said the Ministry of Foreign Affairs here on Tuesday. The Executive Council consists of 41 OPCW Member States that are elected by the Conference of the States Parties and rotate every two years. The Council supervises the activities of the Technical Secretariat and is responsible for promoting the effective implementation of and compliance with the Convention. Bangladesh is among the six countries elected member of the Executive Council from Asia group. Bangladesh was also elected member of the Executive Council for 2016-2018 tenure after around a decade. 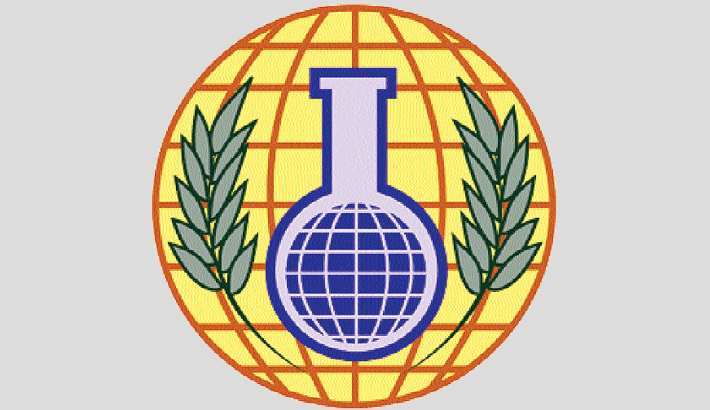 As the implementing body for the Chemical Weapons Convention, the OPCW, with its 193 Member States, oversees the global endeavour to permanently eliminate chemical weapons. Since the Convention’s entry into force in 1997, it is the most successful disarmament treaty eliminating an entire class of weapons of mass destruction.